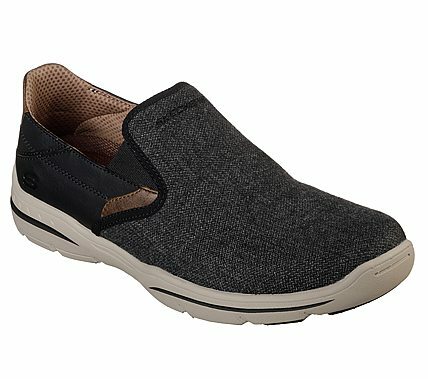 Look your best in nearly any situation with easygoing comfort in the SKECHERS Relaxed Fit®: Harper - Trefton shoe. Soft woven canvas fabric and smooth leather-textured synthetic upper in a slip on casual comfort moc with stitching accents. Air Cooled Memory Foam insole.